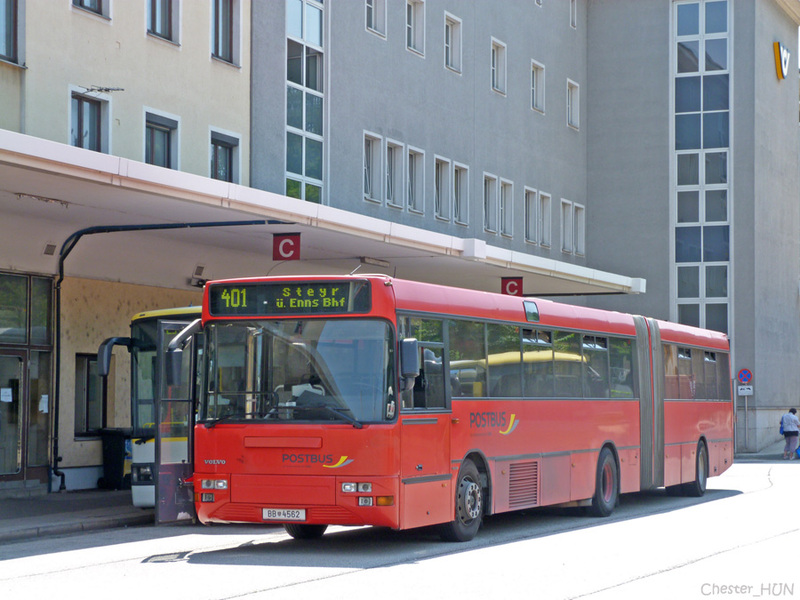 5 july 2012 - Linz, Bus Station. I didn't think that I wil meet with an articulated Steyr like this. It's quite old I guess, and I think it's only working when there is no other option. Tatuś: That Jelcz is a licence of an older Steyr? Effect of cooperation of volvo which bought steyr and jelcz.